General topographical data The town of Rymarov is a significant town in the region of Jesenik and in the district of Bruntal with approximately 9,400 inhabitants. 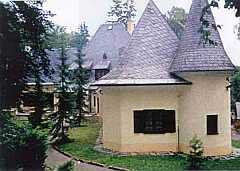 Janovice where the real estate is situated is a quarter of the town of Rymarov. The subject of the sale is located in the cadastral area of Janovice at Rymarov. The subject of the sale includes buildings and land. 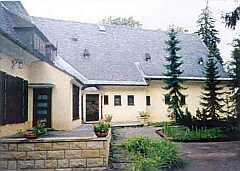 The town of Bruntal, which is located 20km from the real estate, is the closest administrative centre. 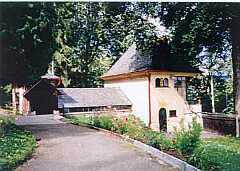 The town of Rymarov and its part Janovice are located along the road no. I/11 linking the town of Sumperk with the town of Opava. 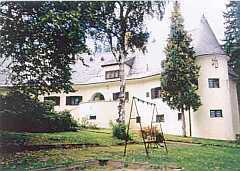 The villa is located in the south of Janovice, close to the Janovice Castle. The surrounding built-up area includes the castle, a former brewery and the Castle Hotel. 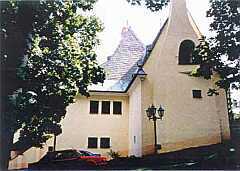 The villa is located close to the castle building, south of the village centre, about 200m from the internal castle and 80m from the area attached to the castle. The real estate also includes a sauna and an arbour. Real estate data The building is significant not only for the artistic material treatment, equipment provided by a Czech artist in the German environment of an important industrialist of the Czechoslovak Republic in the 1920s and 1930s, but also for the preserved documentary nature of the whole entity. The functional and artistic entirety of the building is absolutely unique. The villa along with the surrounding premises is part of the national cultural heritage protected by the Historical Monument Preservation Act, and it is listed in the list of the real estate cultural heritage under registration number 8 -94 - Spitzer's Villa and premises, lot no. 74, 75, Janovice Land Registry - valuable premises established by a bourgeois entrepreneur during high capitalism in the 1920s under no. 94/1 - Spitzer's Villa no. 35, lot no. 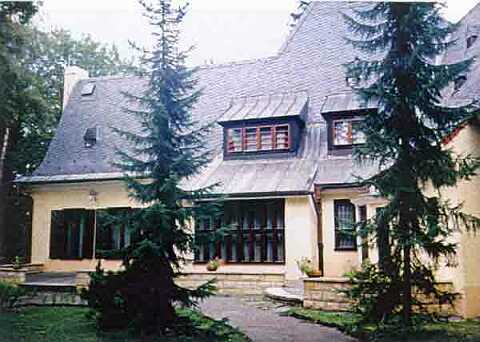 74, Janovice Land Registry - a building from 1929, designed by architect G. Schaler. Unified interior designed by architect Kysela under no. 94/2 - park, or a garden, lot no. 75, originally an ornamental garden of the 1930s, no. 94/3 - a greenhouse, lot no. 75, originally a greenhouse with an apartment built around 1929. Architectural and historic development: Ing. 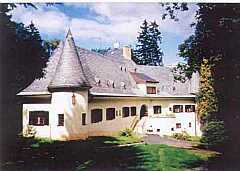 Dr. h.c. Julius Spitzer, the general director of the Vitkovicke zelezarny steelworks, had the villa built as a gift for his wife between 1928 - 1930. Following a specified request of Mr. Spitzer, the villa was composed as a stately home whose style is illustrated by an external staircase winding to the garden and a round corner tower. The successful architectural project of the building comes from the workshop of architect Gustav Scholer; sketches of the interior and equipment were made by art school professor Frantisek Kysela. 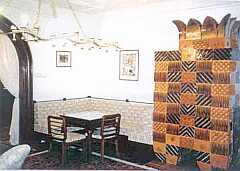 He designed original inlaid furniture made of precious wood in all rooms. Stucco ceiling decoration supplements the unified style. 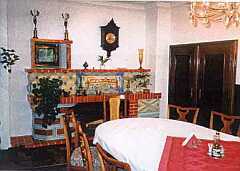 The villa was reconstructed in 1995. The current equipment and management of the boarding house will meet the demands of the most choosy visitors. The equipment combines aristocratic luxury with modern hotel requirements, which are available to up to 26 visitors. 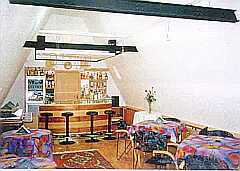 There are seven suites, a social hall, a dining room with a terrace and a bar. The building is linked to engineering networks - pipelines, cesspit drainage, gas, electricity mains, telephone, satellite. Enclosed premises are guarded by industrial cameras, closed by a remotely controlled entrance gate, which allows access for accommodated and reported visitors. Entry roads to the premises and to the villa are reinforced. The lot is of an irregular shape and of downward sloping. The lot is north-oriented. 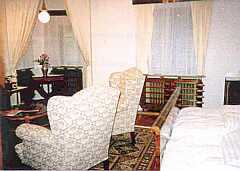 The building has been used as a luxurious boarding house with seven suites with the total floor area of 443 sq.m. The villa is a detached building. 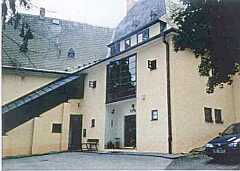 The premises also include a sauna and an arbour (billiard) and a tennis court. The building is built on its own lot. The total lot area covers 9,332 sq.m. No easements are bound to the real estate. No buildings with adverse environmental effects are located close to the real estate. The highland location (640 a.s.l.) provides for various sport activities all the year round. The real estate has no restricted use features.